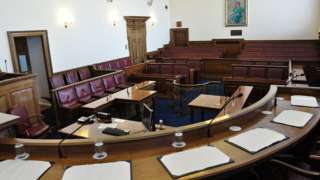 Guernsey's chief minister has withdrawn and replaced a comment he made about parliamentarians behind a move to force laws on the island. Deputy Gavin St Pier had described parliamentarians as "presently serving, here-today-gone-tomorrow, ignorant, arrogant or malevolent Westminster parliamentarians". "For the record I will withdraw one sentence and replace it with this. "And neither will the ignorant, arrogant, or malevolent policies of a handful of presently serving, here-today-gone-tomorrow, Westminster parliamentarians. "So I hope that addresses that particular issue," Deputy St Pier added. Guernsey's chief minister has gone on the offensive, labelling MPs trying to force laws on Guernsey as "ignorant, arrogant or malevolent". Deputy Gavin St Pier made the comments as he presented a motion seeking to give deputies the final say in the registering of UK laws locally. 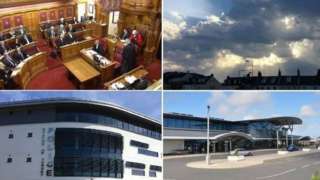 A coalition of MPs want to force the island to make company ownership information public, bringing the Guernsey, Jersey and the Isle of Man in line with the UK and its Overseas Territories. Deputy Gavin St Pier said Guernsey would continue to engage with MPs, however long term options to "preserve our autonomy" were also being considered. "The territory our Duke invaded 953 years ago has, over those successive centuries, like a cuckoo in the nest, grown into a larger, louder and brasher neighbour. "But that does not traduce or supplant our history or relationship with the Crown. And neither will the actions of a handful of presently serving, here-today-gone-tomorrow, ignorant, arrogant or malevolent Westminster parliamentarians," he told the States. Tory MP Andrew Mitchell and Labour's Margaret Hodge have previously written to Deputy St Pier, arguing that offshore leaks have shown having an open register of business owners is the only way to tackle corruption and financial crime. People who were born and raised in Alderney and Sark are set to gain new rights to live in Guernsey, after politicians approved a new law. It will give people who have lived in the islands for eight consecutive years the right to apply to live in Guernsey to work or study. Applicants also have to have been first resident in the Bailiwick as a minor, living at home with their parents. Those with a place at an educational institution or on a training programme will be eligible under the new law. Alderney and Sark-born people already working in Guernsey under an employment permits will also be able to apply for a discretionary permit once that lapses. Vandals have caused up to £10,000 of malicious damage to playground equipment and a mature tree at the Millennium Town Park in St Helier. CCTV captured on the evening of 23 March shows a group of children throwing bricks and hacking at the tree for almost 20 minutes with what appear to be the handlebars of a scooter. 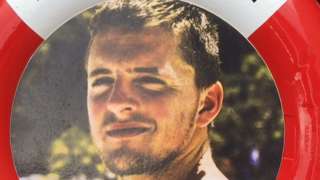 The Government of Jersey said the dinner-plate-sized area of bark would take decades to heal, and that the tree may need to be replaced at a cost of cost up to £2,000. Repairs to the play equipment could bring the total bill up to £10,000. In La Rue du Pont Marquet in St Brelade, the road is closed between the junction with La Place Hotel and Lavender Farm due to a crash. Police say it happened "by the accident blackspot". This morning will see a fine start with plenty of early sunshine. This afternoon will be largely sunny with light northeasterly winds. Campaigners have reacted angrily to the news that wills and inheritance matters in Guernsey will still be dealt with by the Ecclesiastical Court until at least next year. That's despite Guernsey's most senior politician announcing it was his ambition to end this process by the start of this year. Last June, Deputy Gavin St Pier told the States that money brought in by processing a will would go to the States to distribute, rather than the Church of England through the Ecclesiastical Court. He said this model was outdated and out of sync with most European countries. The timetable he set out was that this would be complete by the start of this year, but now Policy and Resources is targeting 2020. 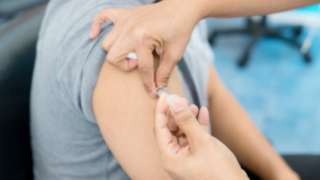 Campaigners for the changes say this is a poor show from the States and is an issue which needs to be resolved before the next General Election.